Trade Paperback: NYRB Classics, 2017. 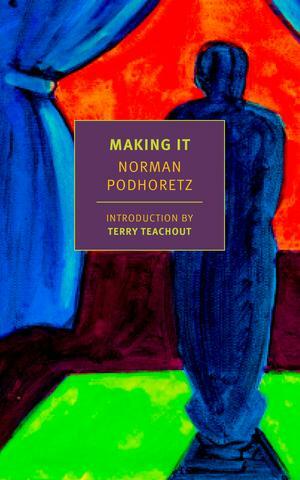 Norman Podhoretz, the son of Jewish immigrants, grew up in the tough Brownsville section of Brooklyn, attended Columbia University on a scholarship, and later received degrees from the Jewish Theological Seminary and Cambridge University. Making It is his blistering account of fighting his way out of Brooklyn and into, then out of, the Ivory Tower, of his military service, and finally of his induction into the ranks of what he calls “The Family,” the small group of left-wing and largely Jewish critics and writers whose opinions came to dominate and increasingly politicize the American literary scene in the fifties and sixties. It is a Balzacian story of raw talent and relentless and ruthless ambition. It is also a closely observed and in many ways still pertinent analysis of the tense and more than a little duplicitous relationship that exists in America between intellect and imagination, money, social status, and power. The Family responded to Podhoretz’s book with outrage, and Podhoretz soon turned no less angrily on them, becoming the fierce neoconservative he remains to this day. Fifty years after its first publication, this controversial and legendary book remains a riveting autobiography, a book that can be painfully revealing about the complex convictions and needs of a complicated man as well as a fascinating and essential document of mid-century American cultural life.